Inbound marketing is simply the best way to attract and nurture new prospects online. From your emails, blogs, social media and landing pages — the digital breadcrumbs that attract and bring new clients into your sales pipeline is called “inbound” marketing. You may be doing this already, but in this webinar we’re going to give you some actionable steps you can take to start collecting and converting leads through inbound methods. Stay tuned until the end — we’re going to give you a kit with even more ways to grow your business! 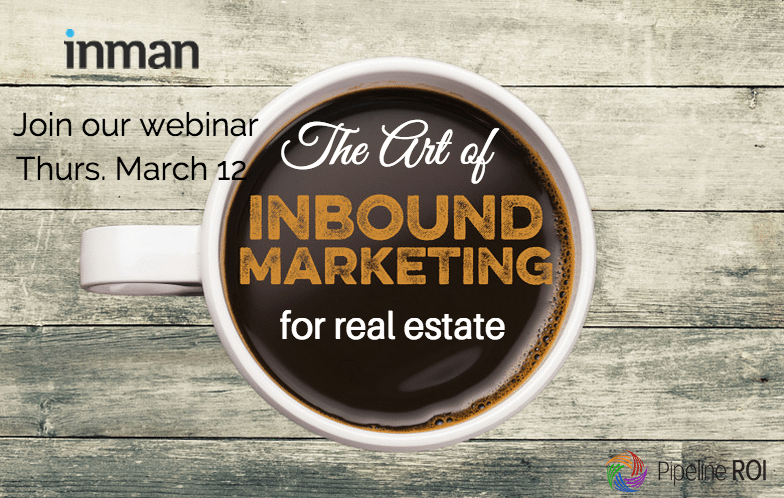 Join Dustin Moore, CEO of Pipeline ROI, and Laura Monroe of Inman as they dive into the six steps of inbound marketing for real estate, the most effective method for doing business online.